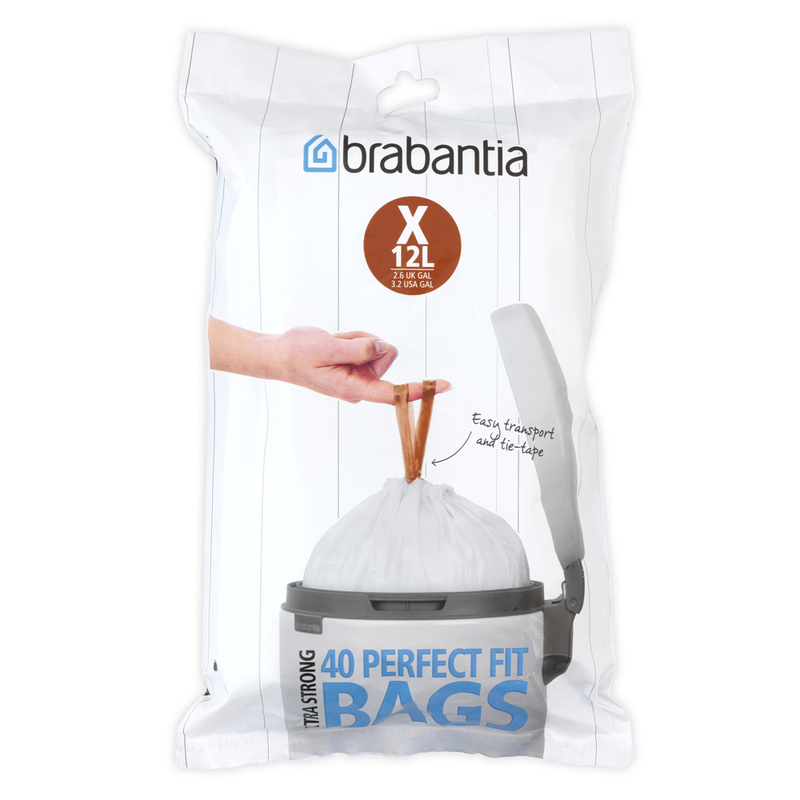 The perfect accessory for your Brabantia bin, this pack of PerfectFit Bags is a must-have. Included are forty extra-strong bags with a capacity of 12 litres – designed specifically for Brabantia bins, they’re the perfect way to keep things tidy. They also feature integrated tie tape handles, making them incredibly easy to dispose of. Presented as a pack of forty.